Save BIG on Honey Nut Cheerios, Lucky Charms Cereals at Safeway this week! These are all included in the new Pick 5 and save promotion going on now through September 18th. 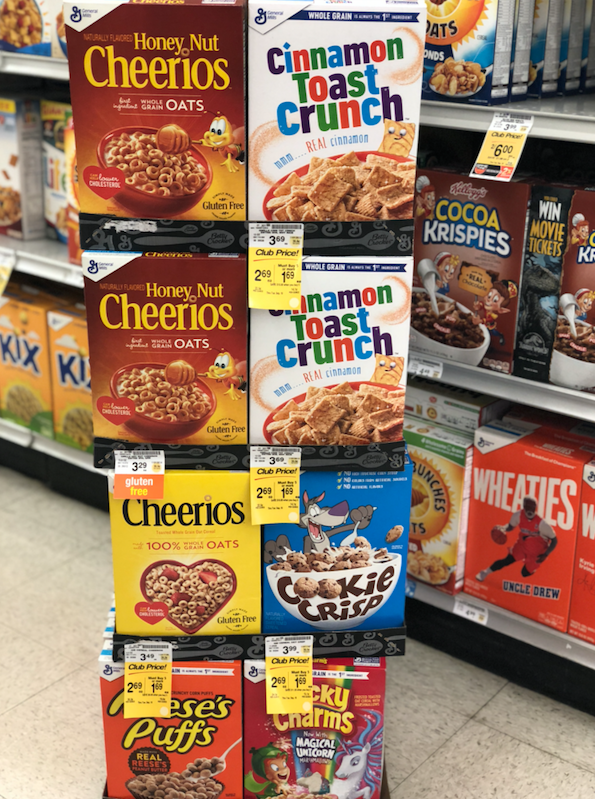 Use the printable coupons below for $.50 off 1 box of cereal that double automatically to $1.00 at Safeway and you can get Reese’s Puffs, Honey Nut Cheerios, and Cinnamon Toast Crunch for just $.69 each!